The National Poker League is, despite its name, focussed on worldwide poker. Now, this American organisation has just announced a worldwide poker tour which will incorporate a big buy-in televised event in the UK during the summer of 2007. 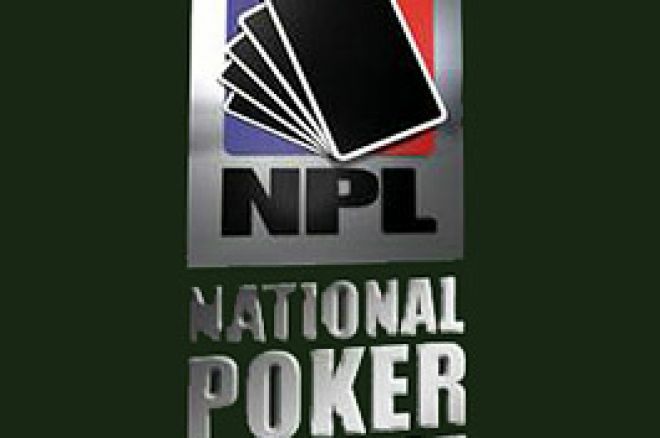 The National Poker League describes itself as "…the newest and most aggressive poker playing organization in the world. Aimed at the younger generation of poker players and fans along with legendary poker pros, the NPL goal is to conduct tournaments with affordable buy-ins and a new style of king of the hill competition." The NPL has now launched the 2007 Global Open, a tour comprising four major events around the world – which the NPL are calling "World Cups" - to which they have added substantial money to the prize pools. The first event will be The Paris Open to which the princely sum of €100,000 is being added. This takes place from 13th May 2007 at the Cercle Gaillon Casino in the centre of Paris. The Paris Open will be a €4,000 buy-in event running from 13th May to 22nd May and is boldly forecast by the organisers to "…reach Europe's highest attendance and prize pool." In addition to the added money of €100,000, players will experience a welcoming VIP gala party and be entitled to travel discounts. That will be followed by a visit to the UK in August 2007, simply referred to at this stage as the UK Open. Consequently, no further news about its location and particulars are available at this time. We will update this position as it becomes known. The final two stops on the World Tour take in The Asian Open in October 2007 and the Vegas Open in November. "NPL is not an American or European tour, it's a true worldwide poker circuit open to everyone. NPL wants to redefine the tour. As a strong advocate of poker, we feel it's no longer a game but an established sport." Each of the events will benefit from six one-hour TV episodes and these will be aired on High Definition TV in the USA and around the international TV networks including Canada, Mexico, Germany, France, Italy, UK, Eastern Europe, the Philippines, South Korea and Japan. The National Poker League describes itself as "…a media-focused company, creating poker tournaments and poker related content for worldwide distribution. NPL does not own or operate any online gambling sites. NPL is a division of New Vision Media Corp., a Nevada Corporation with administrative offices in Los Angeles. Ed note: Play a $100,000 guaranteed tournament every day when you download MANSION Poker where the overlays are currently huge! A Welsh Welcome For Jennifer Tilly and Co!